Having and maintaining long hair is definitely not the easiest thing in the world. Yes, having a nice, long, cared for hair looks beautiful but it takes a huge part of your day to manage and style it. And in the busy life of every working woman, where everything is done on foot there is not always time to sport a nice and neatly done elegant hairstyle. So, that’s why here we are going to give you a list of easy-to-do quick hairstyles for a long hair done in no time and the hair still looks neat and classy. 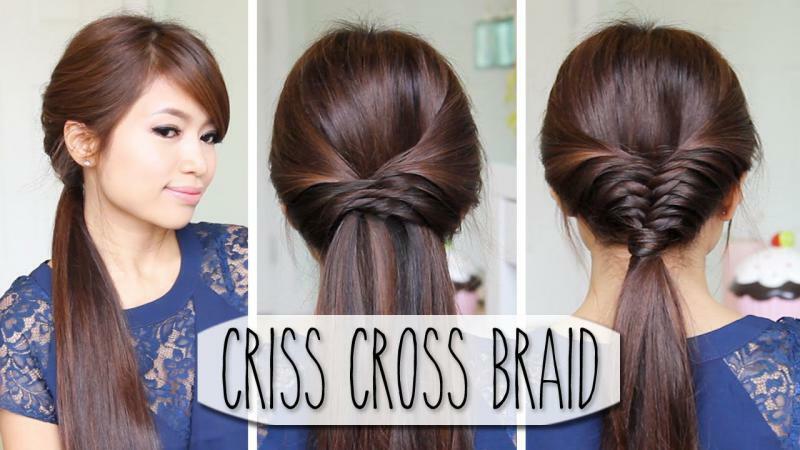 For this style you need to take a few strands a side of the hair which you prefer and start making a normal braid. 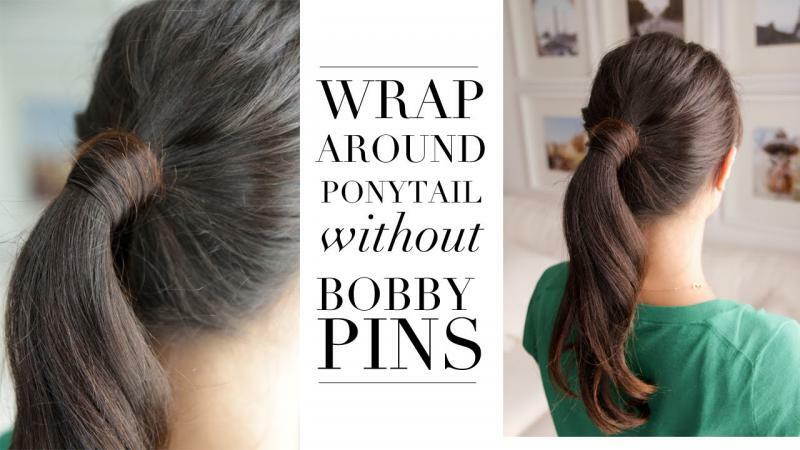 You need to make it long enough, so you can take it across the back of the head all the way to the other side and pin it down using some bobby pins. That way it keeps the rest of the hair in place and it is still loose on the shoulders and it doesn’t bother your eyes and forehead. This is one more very efficient and still easy-to-do style. It is pretty simple to do, just take the hair in the front and some from the sides and separate it into two thick locks. Brush them to the opposite sides and kind of wrap them together and pin them in order to stay in place. This is probably of the simplest and yet classiest looks on the list. 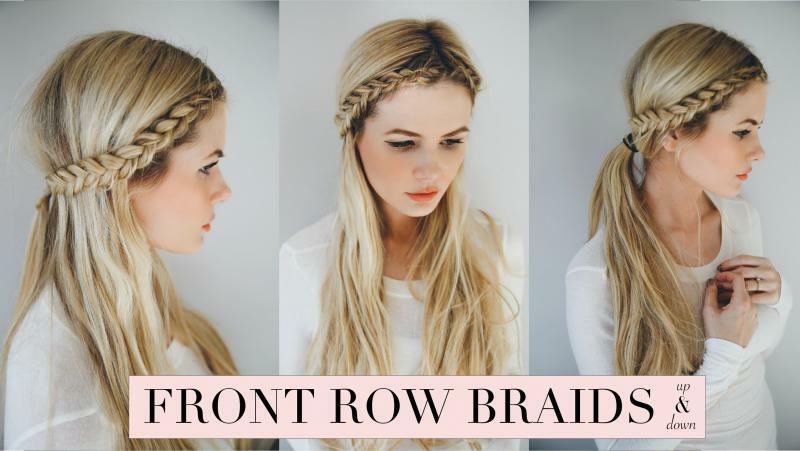 It is as simple as it gets, just part the hair deeply from a preferred side and make French style braid all the way to the other side and pin it down above the ear. Sometimes when you are completely out of time, just a simple bump of fluff at the crown can make it look fashionable and beautiful. 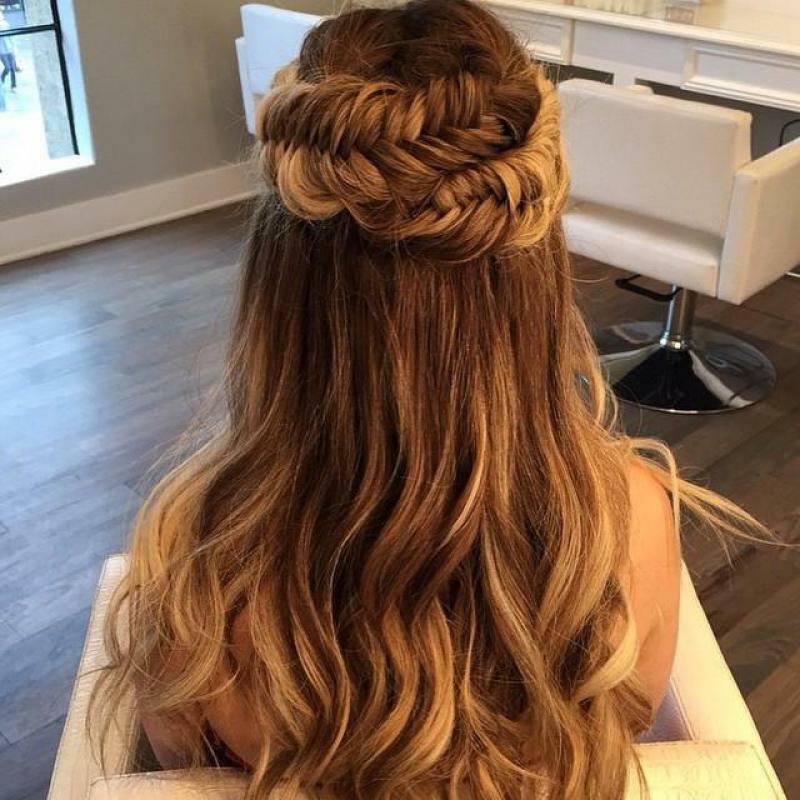 It is done in no time at all, just use your hands to tease the hair a bit in order to get a good bump, then pin it down and use the locks on the side to get bigger volume. 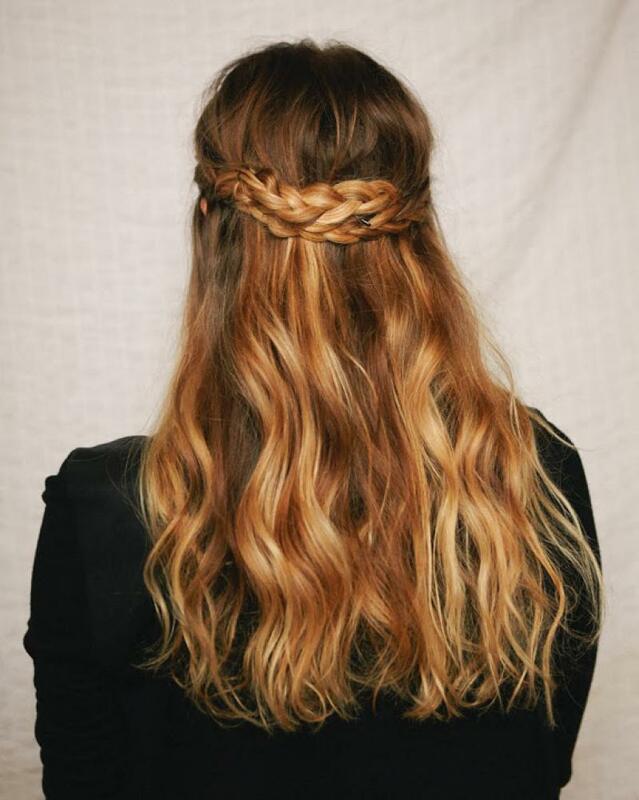 This one is pretty similar to the first two, as here again we have a simple French braid that starts at the side of the head but this time get a much bigger and thicker part of the hair and braid all the way down to one side. If don’t like the French type, it could also be done in different kinds of braids to maintain variety. This precise, but very easy to achieve style gives you a careless and playful look in no time at all. You can get a nice version of the pony with a loop. It a deviation from the standard pony and it gives you a very nice look and keeps the long hair neat and classy and most importantly – in place. It is very simple to do. When you get the pony tie at the back just use your fingers to make a small hole in the tie and loop the pony through it. Again, this is another version of the ponytail. 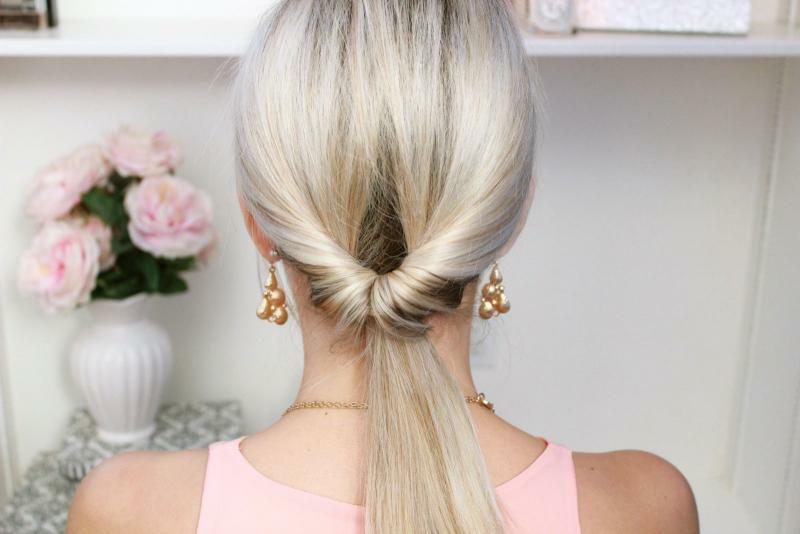 Here you simply need to pull the hair back, ready for a ponytail, but instead of using elastic, use a strand of the hair from the back and tie it around the pony and finally pin it down in order to keep it in place. In an extremely busy day, the ponytail is sure the best choice for a casual, working mode that will keep the heat away and will not get in your eyes. This version of the pony, you need to pull the hair in position for a pony and then loop it upwards to form a nice and soft bun at the crown section of the head. If you want a an even bigger and classier effect, you can add a bow, it will give you a girlish and innocent look. If you wake up with a messy hair and you’ve overslept and have no time at all for preparation, this is how you can make the best of it with this innovative and quick solution. 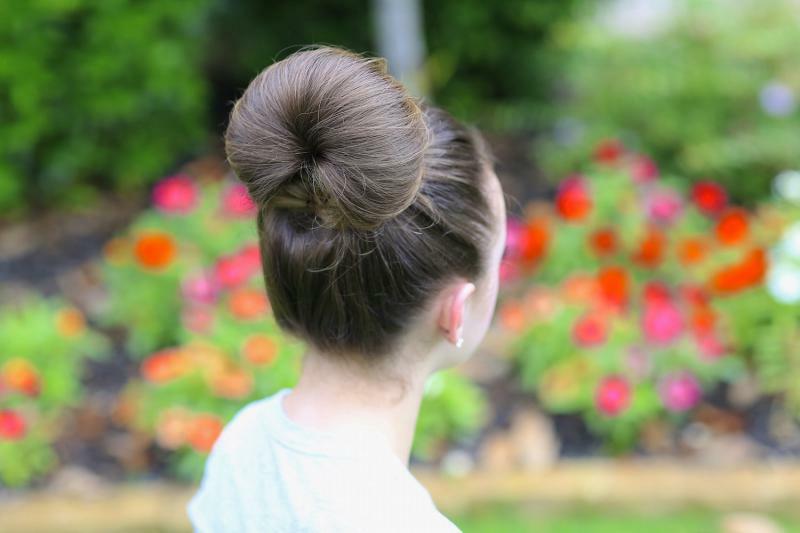 Simply make a bun at the back and connect the whole hair, tying it at the back and mess it up on the sides a little and there you have a great careless look.